Corey Mitchell Hart was born on May 31, 1962 in Montreal, Quebec. He was brought up in places like Spain, Mexico and Florida and as a result became proficient in English, Spanish and French. However when his parents got divorced, Hart went to live with his mother in Montreal. Hart started singing from the young age of 11 when he sang, “Ben” in Miami. In 1980, he was honored to represent Canada in the World Popular Song Festival held in Tokyo. After giving demos to various recording labels, he was finally signed by Aquarius Records in 1982. Hart released his first album, “First Offense” in 1983 and earned himself international success as the tracks, “Sunglasses at Night” and “It Ain’t Enough” earned spots at number 7 and 17 on the music charts, respectively. The album garnered substantial success in both America and Canada and soon after Hart was touring both countries extensively. The album earned various nominations including that of “Best Album” at the ADISQ Awards and Hart was nominated for “Best New Artist”. His second album, “Boy in the Box” came out in 1985 and sold over a million copies in Canada. The album featured tracks like, “Never Surrender” which gained colossal popularity and a spot at No. 1 on Canadian music charts and also the award for “Best Selling Single” at the Juno Awards. The album itself was nominated for the “Best Album” award at both the Juno and ADISQ Awards. By 1985, Corey Hart was conducting global tours and sold-out shows. He was also appearing on the television in shows like, “Good Rockin’ Tonite”, “MTV” and “Friday Night Videos”. In 1986, he released his third album, “Fields of Fire” which earned double platinum status in Canada and gold in America. It contained hit tracks like, “I Am By Your Side” and “Can’t Help Falling In Love”. Critics even observed that the lyrics showed how far Hart had matured and grown as an artist. His fourth album, “Young Man Running” further displayed Hart’s growing creativity and maturity as a composer, with songs like, “In Your Soul”. The album, like his previous ones, also received various nominations at ADISQ Awards. In 1990, he released his fifth album, “Bang!” which earned a platinum status in Canada and featured hit singles like, “A Little Love”. Hart got back together with Ruby Turner for this album and took on Kenny Aronoff on drums. The album earned Hart another nomination for “Best Artist” at the ADISQ Awards. In 1992, he released his solo album titled, “Attitude & Virtue” which yielded successful results and earned him a nomination as “Best Vocalist” at the Juno Awards, however the success of the album faded faster as compared to his previous works. Hart collaborated with the Canadian singer Julie Masse and co-produced and wrote 5 songs for Masse’s album titled “Circle of One”, which achieved gold status in Canada. 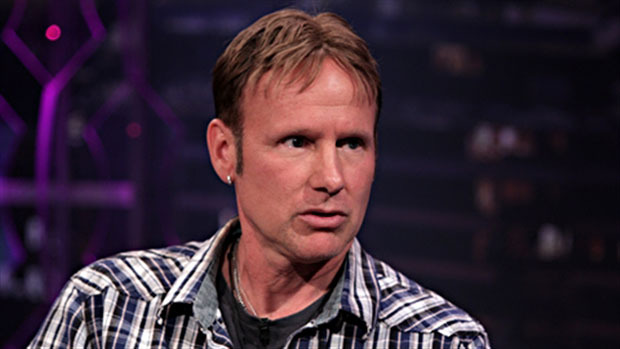 After signing a contract with Sony Music, he released the album, “Corey Hart” which achieved platinum status in Canada and reestablished Hart to his former glory. In 1998, he released his next album, “Jade” which featured a duet with Masse. Hart had now found himself back in the spotlight, as the album garnered him various nominations as “Best Vocalist”. In 2002, Hart opened up label with Sire/Warner Music and produced Marie-Christine’s album, “Walk in Beauty” which gained substantial success. In 2012, he released the remix of “Truth Will Set You Free” in collaboration with DJ 1 which became popular globally. In 2014, he released, “Ten Thousand Horses” which contains duets with Masse and Jane Siberry.